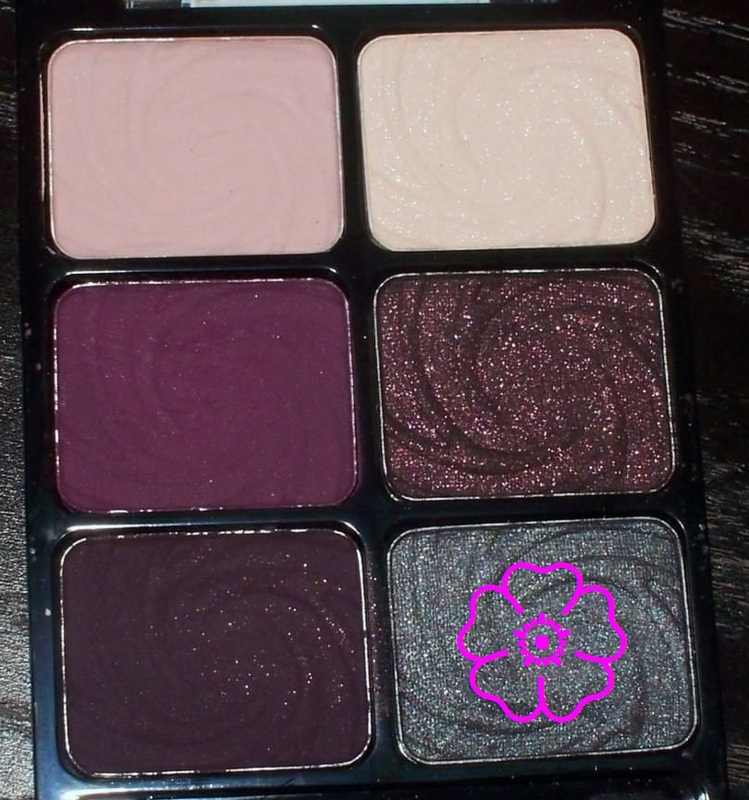 SHADOW: I applied matte peach (from the Wet N Wild Greed palette) e/s to the innermost portion of my lower lid. 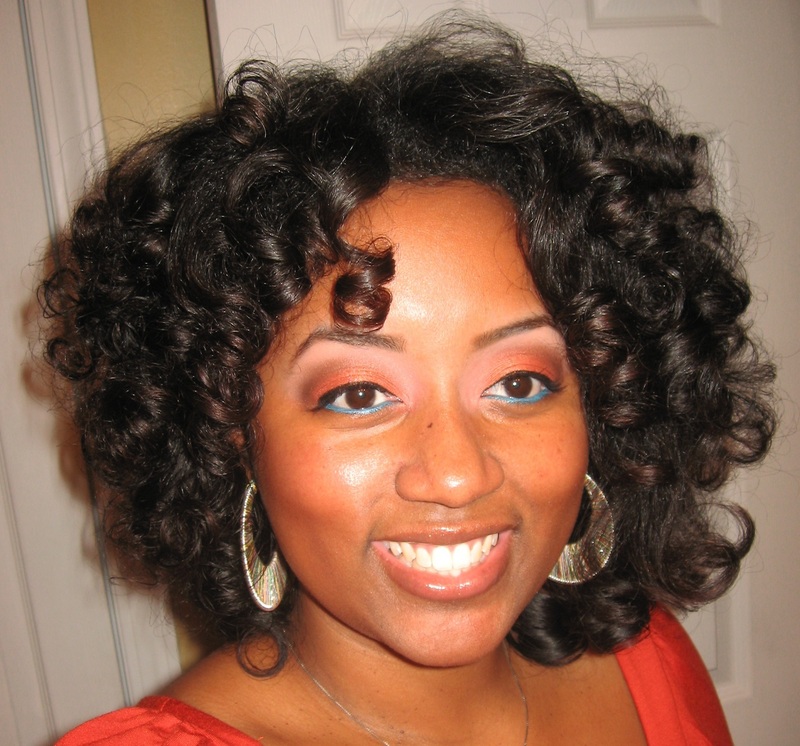 I blended the peach into Black Radiance blush in Soft Honey; it’s a matte terracotta color. YES! 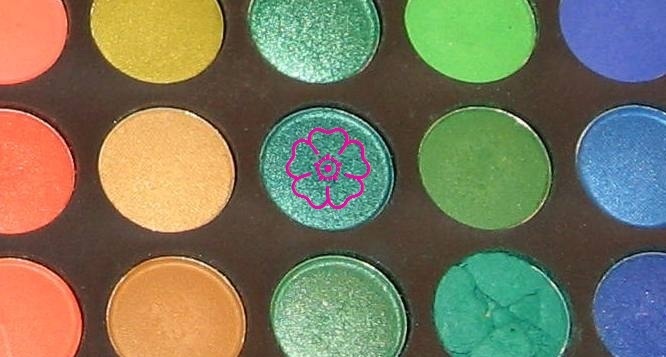 you can use blush as eyeshadow. 😉 Then I used my Coastal Scents crease brush to apply matte blackened purple (from the WNW Lust palette) to my outer v. Finally I used matte camel (from the WNW Vanity palette) to highlight my browbone. OTHER DETAILS… I used matte blackened purple e/s from the WNW Lust palette to fill in my eyebrows & L’Oreal Collagen Mascara in Blackest Black on my lashes. I defined my upper lashline using Wet N Wild cream liner in black & my lower lashline in L’Oreal H.I.P. 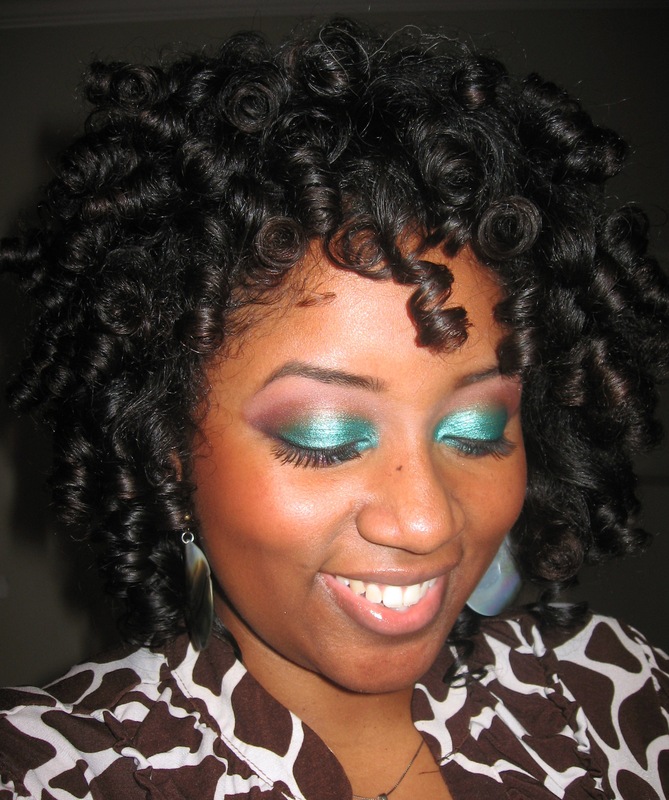 cream liner in Teal. 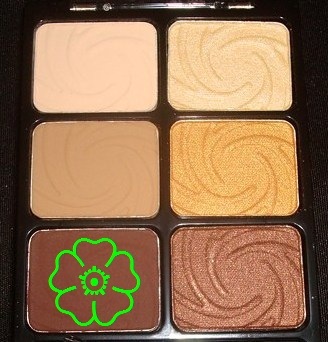 SHADOW: I applied matte peach (from the Wet N Wild Greed palette) e/s to the tearduct area & inner half of my lower lid. 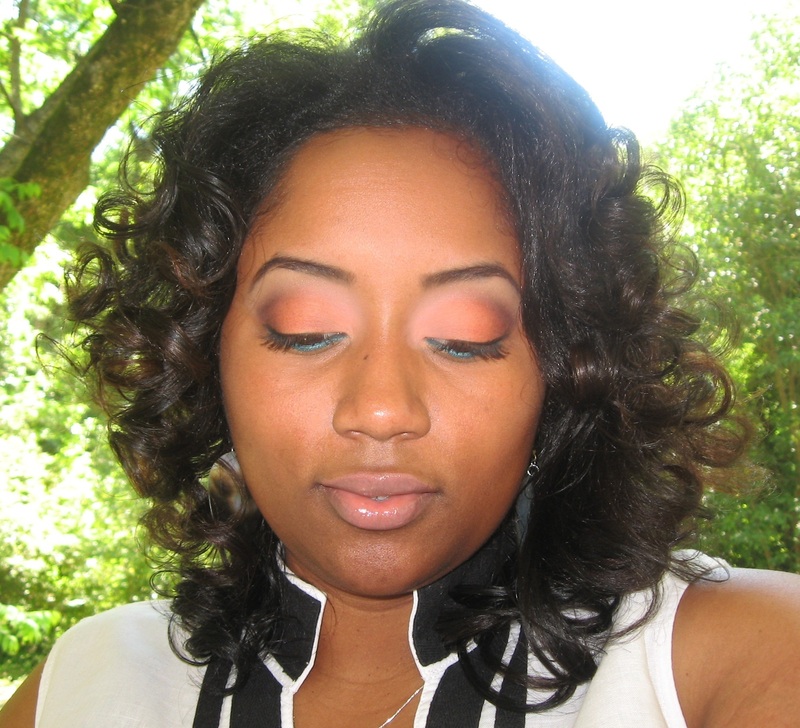 Then I blended the peach into light tangerine (from the Coastal Scents Hot Pots palette). 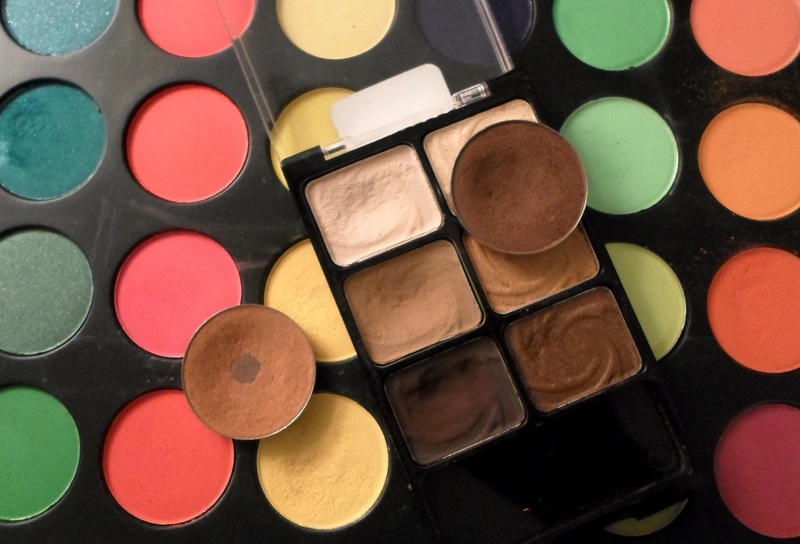 To create the cut crease, I used a pencil brush to apply matte dark brown (from the WNW Vanity palette) along my crease. 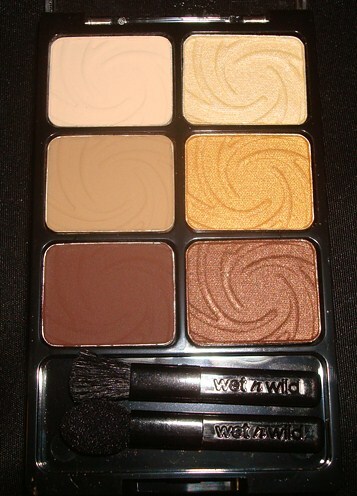 Then I used my Sonia Kashuk large blending brush to fade the dark brown upward into my brow area. I used matte camel (also from the WNW Vanity palette) to highlight my brow bone. OTHER DETAILS… I used matte blackened purple e/s from the WNW Lust palette to fill in my eyebrows & L’Oreal Collagen Mascara in Blackest Black on my lashes. I defined my upper & lower lashline using Wet N Wild cream liner in black. This song was HOT during my freshman year in college, LMBO! I know the video is awesomely bad, but admit that the music gets you in a “rock” mood. I had forgotten all about this song until I heard it in a Samsung commercial last week. TOO FUNNY! Anyway… let’s talk makuep! Today’s look is pretty simple, I didn’t wanna draw too much attention to my eyes, so I did a simple smoky look that allows the bright pink lipstick to pop. 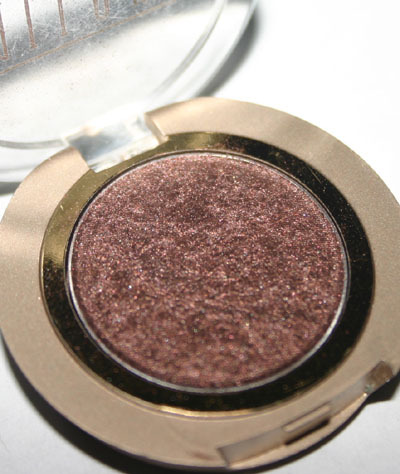 SHADOW: I applied this dark pewter (metallic finish) from the Wet N Wild Lust palette over my entire lower eyelid. On my crease I used matte dark brown from the Wet N Wild Vanity palette, then I used matte peach e/s (WNW Greed palette) to highlight my brow bone area. 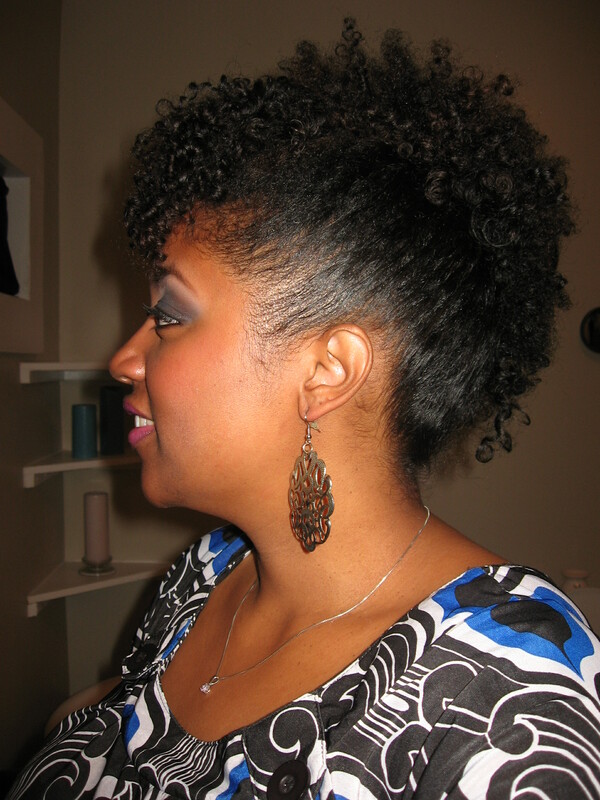 So I’m a little behind on my faces of the day… blame it on intense holiday preparations. Mama had me working like a Hebrew slave this past weekend, LOL! But we are ready for Thanksgiving! How about you? 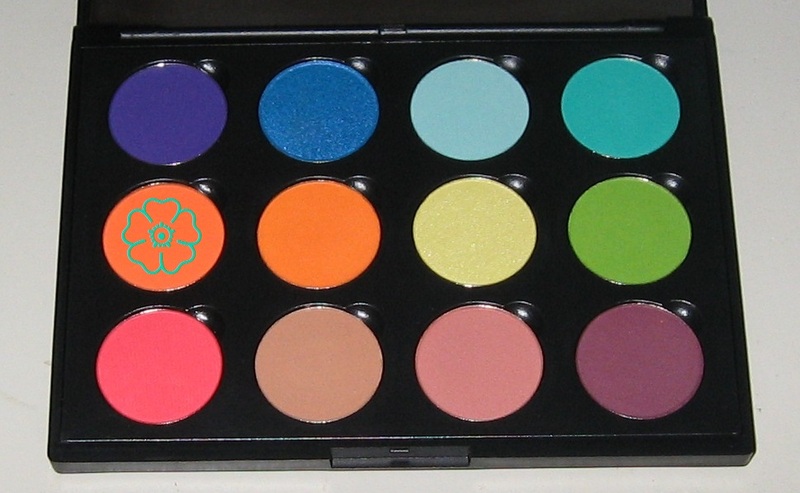 SHADOW: I covered my entire lower lid in teal green e/s (frost finish) from the Shany Cosmetics 120 palette. 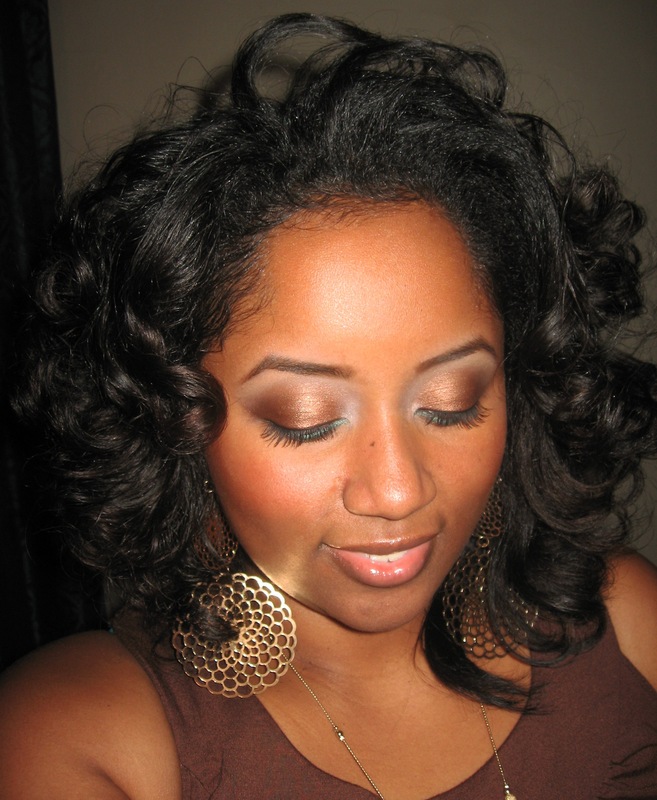 Then I applied Java Bean (a shimmery brown e/s) by Milani along my crease & blended it upwards. 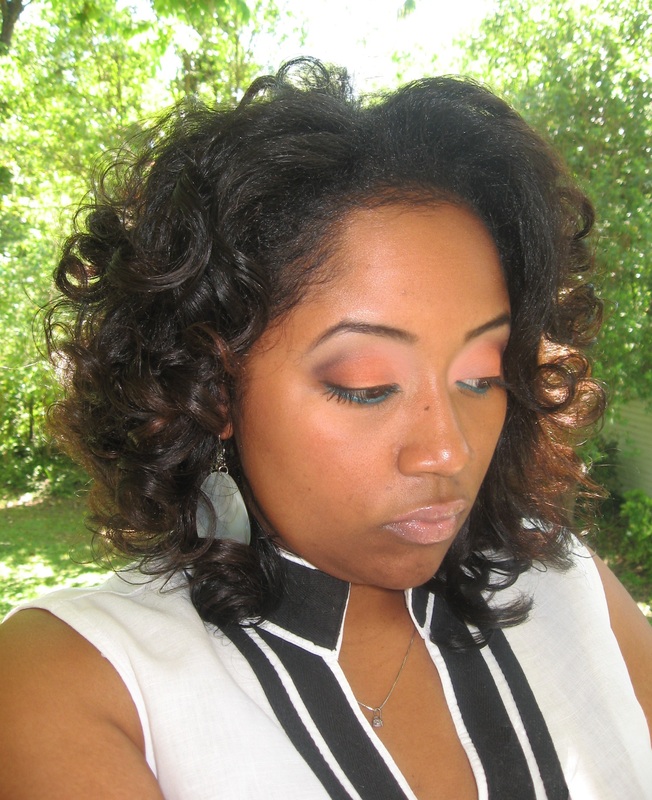 Next I used matte peach e/s from the Wet N Wild Greed palette on my brow bone. I also added a touch of matte dark purple to my outer v for added depth. 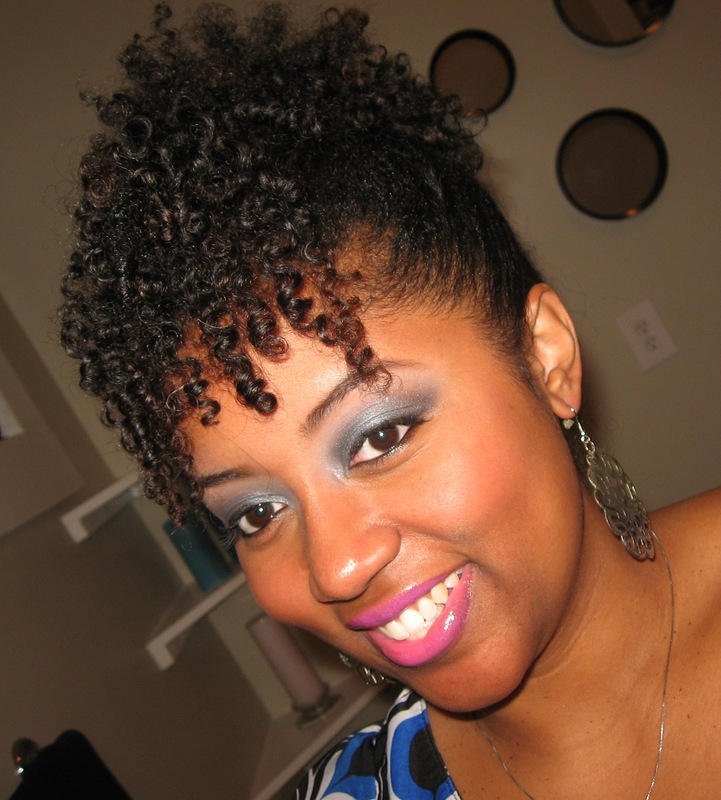 OTHER DETAILS… I used Wet N Wild Arch Envy eyebrow duo in brunette & CoverGirl single e/s in Smolder to define my eyebrows. 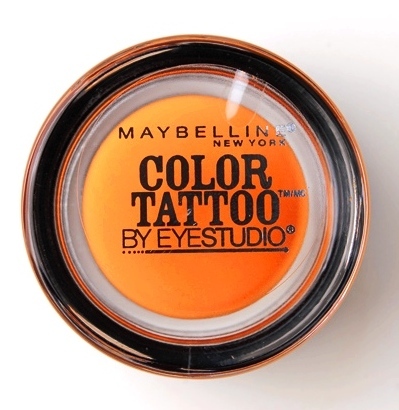 Then I used Maybelline Falsies mascara in blackest black on my eyelashes. I defined my upper lashline & waterline using Wet N Wild cream liner in black. I also applied Wet N Wild eyeliner pencil in turquoise along my lower lashline & applied the same frosty teal & dark purple (from my eyelid) to my under eye. 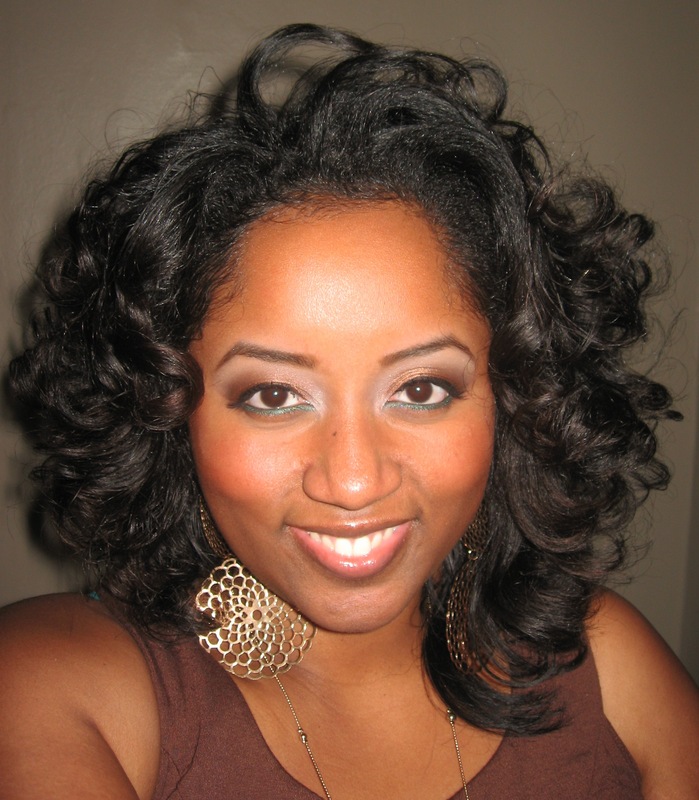 Then I used Black Radiance Complexion Perfection Undereye Concealer (in CA8010 for light to medium complexions). 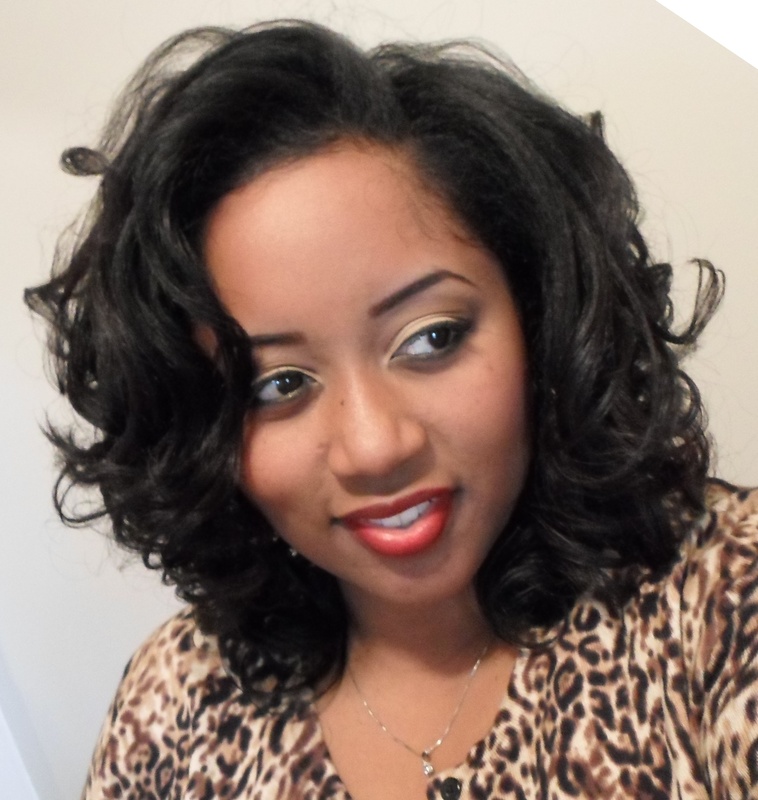 This FOTD is a recreation of my makeup in the Knot Today product review. 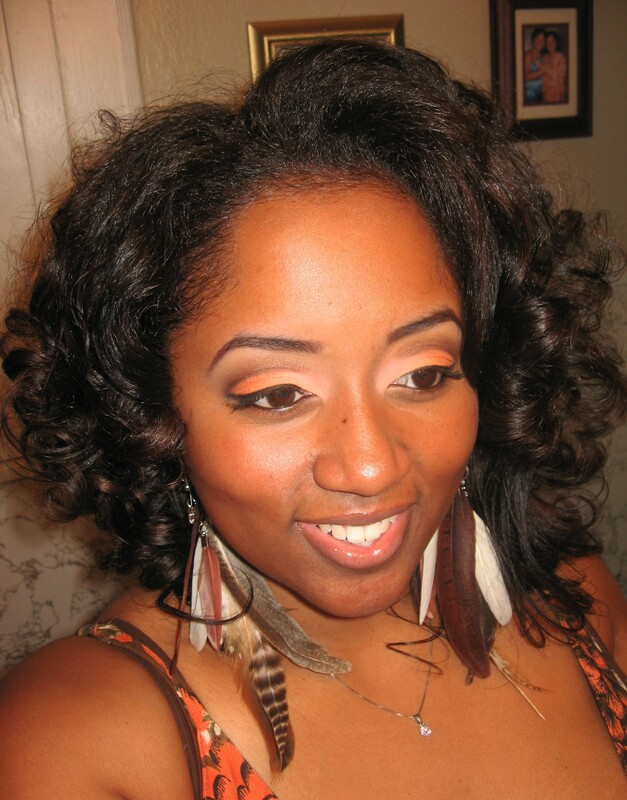 Every woman needs a go-to neutral look! They’re so simple. 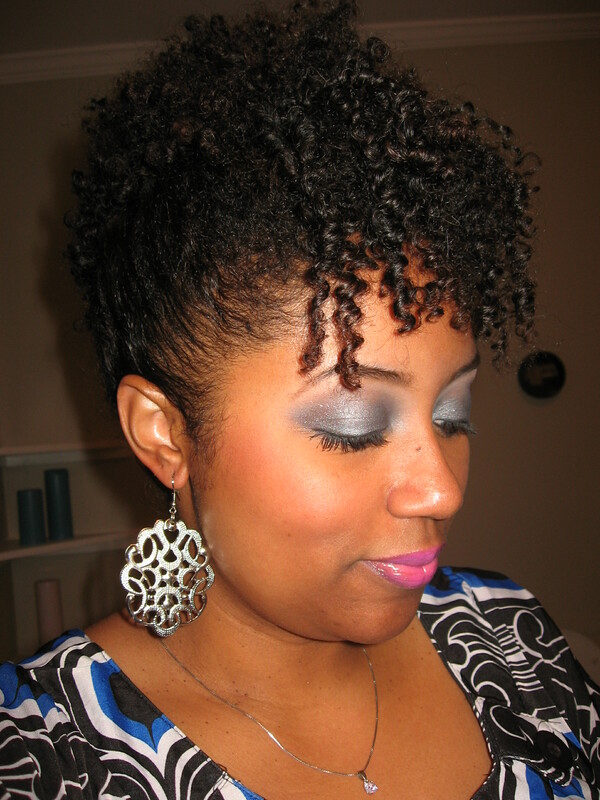 Case in point: this look was created using only shadows from the Wet N Wild Vanity palette. But y’all know how much I LOVE color, so today my POP of color was Green Shimmer HD gel liner by Ruby Kisses; it’s a dark green w/ flecks of gold glitter. SHADOW: I covered my entire lower eyelid in shimmery brown e/s. 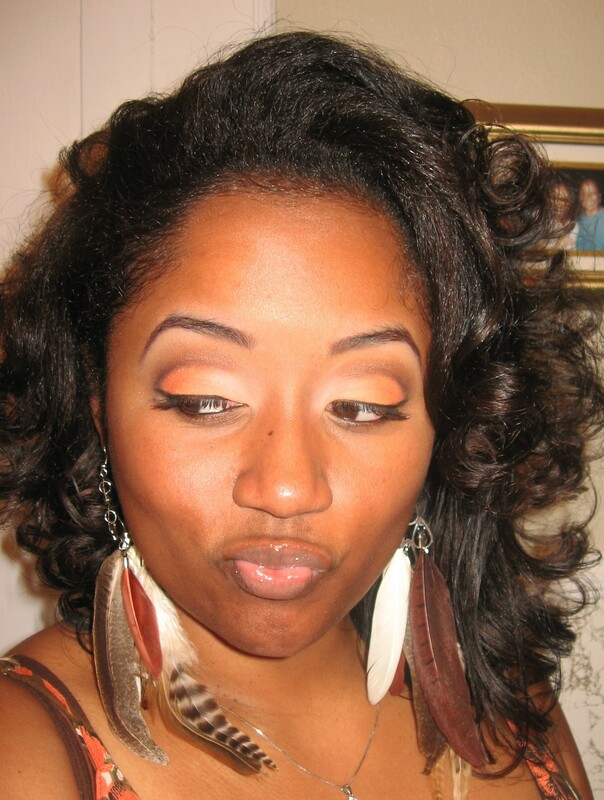 Then I used matte dark brown e/s to darken my outer v & matte camel to highlight brow bone. Finally I used frosty champagne to highlight my tearducts, as well as the arches of my eyebrow. 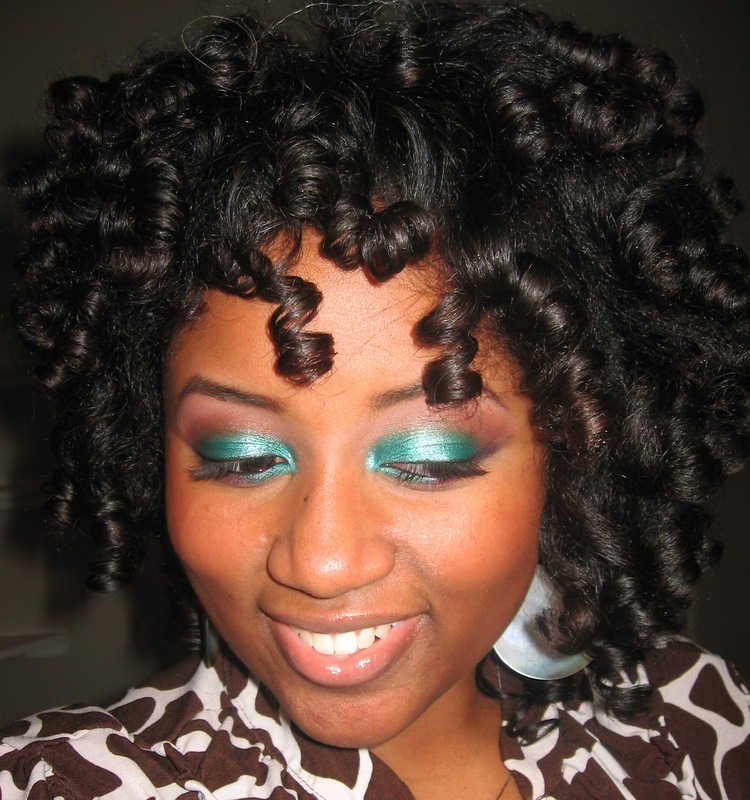 ALL shadows used in this look are from the Wet N Wild Vanity palette. OTHER DETAILS… I used CoverGirl single e/s in Smolder to define my eyebrows. 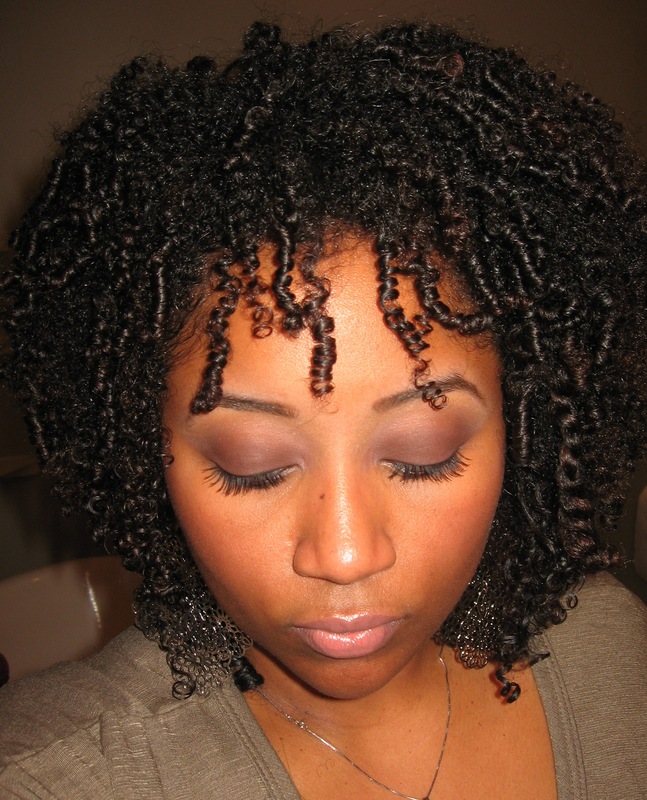 Maybelline Volume Express “Falsies” Mascara in Blackest Black on my eyelashes. I defined my upper lashline with Wet n Wild cream eyeliner in black & my waterline with Ruby Kisses HD gel liner in “green shimmer”. CHEEKS: I used Ulta single e/s in “Sparks” on the hollows of my cheeks & Black Radiance sheer finish blush in Soft Honey on the apples of my cheeks. FOTD: 27 & loving it! This weekend my bestie took me to Sephora & bought me some awesome goodies! 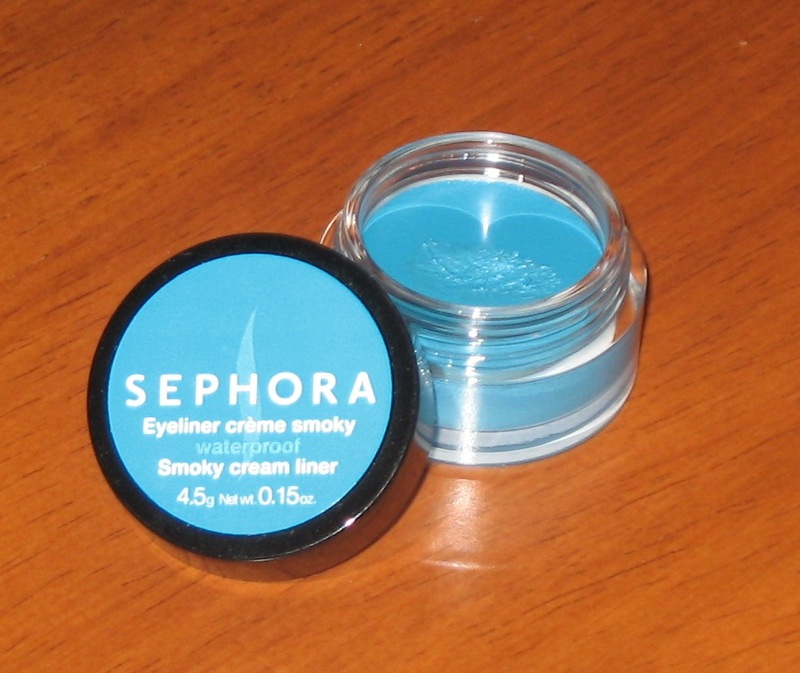 Of course I had to debut at least one of them in my birthday FOTD… Sephora cream liner in Electric Teal!